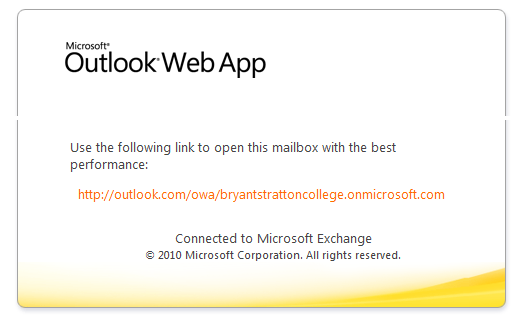 Download "B&SC Office 365 Email"
2 MS Office Accessing Your There are several ways through which you can access your . Accessing via Blackboard Learn Login: 1. Log into your mybsc account by visiting and clicking on the orange Login button. Or, you may visit the site directly by clicking here. 2. Once you ve logged into mybsc with your username and password, locate the tab in the upper right-hand corner of the screen and click on the tab. 3. Once you click on the tab, you will be directed to the following page. Click the hyperlinked text to be redirected to your new . 3 MS Office You will be taken to the login page for Microsoft Office 365. 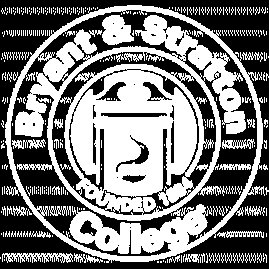 When you sign into the service, you will need to enter your Bryant & Stratton College address and password. Click Sign In. 4 MS Office You will have several options on the next screen. Be sure you read the information carefully and follow the instructions on the screen. As part of your package, you now have access to Microsoft Word, Excel, PowerPoint, Outlook, and OneNote. These are the programs Bryant & Stratton College students use most frequently in their courses, so this is an opportunity for students to use these tools in a cloudbased environment. You may download each product on a desktop computer or laptop up to five times. It should be noted students in certain programs may need to purchase additional Microsoft products based on program requirements (for example, students in the VOIM program will need to purchase Microsoft Access separately. If you have any questions about which programs may require additional software, please contact your Academic Advisor). 6 MS Office Enter your password 5. Tap Next.. 6. Enter the following information: a. Server: outlook.office365.com b. Username: your address 7. Select Next to advance to the next screen. On this screen you will see a list of options you can enable on your device. By default, all options are enabled, but you can choose which options you would like to use on your device. 8. Select the options you would like to enable and tap Save. 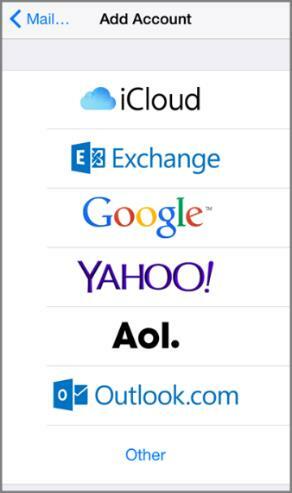 7 MS Office Adding Office 365 to IOS Devices (Using Outlook) Note: Outlook for IOS requires IOS 8.0 or higher. To Install Office 365 on your IOS device, please follow these steps: 1. Download the Outlook for IOS app (it is available in the Apple Store) if you don t already have it. 2. Once you have installed the app, open the app then tap Settings Add Account. 3. Tap Office Enter your full address (for example: 5. Enter your password. 6. Tap Sign in. Note: If you previously used Exchange to set up your account, you may receive a message about security upgrades. Follow the prompts and sign in again. 7. Select Yes to let the app access your info to begin syncing your information. 8. 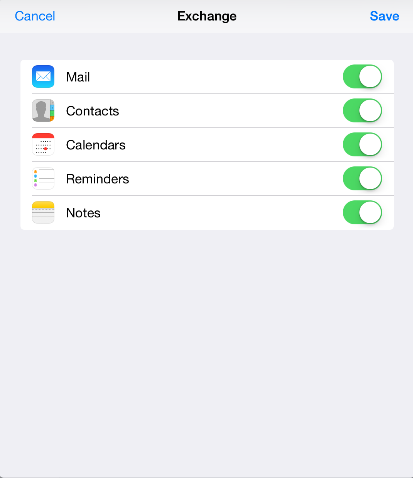 Once the app is open, tap one of the available icons to view your calendar, files, or contacts. 8 MS Office Adding Office 365 to Android Devices (Native Client) To access your using the built-in feature available on your Android device, please follow these steps: 1. Tap Settings Accounts Add account . Note: This application may be named Mail on some versions of Android. 2. Enter your full address. For example: 3. Enter your password. 4. Tap Next. 5. Select the Exchange option. 6. You may receive a message about additional security features. If a message appears, tap OK. 7. The system will need to verify your server settings. Once this is complete, the Account Options page will open. 8. You may select the defaulted options or make modifications as you choose. Once you have made your choices, tap Next. 9. On the Set Up page you may change the name of your mail account. When you are finished, tap Done. 9 MS Office Adding Office365 to Android Devices (Using Outlook) Note: Outlook for Android requires a device running Android 4.0 or later. 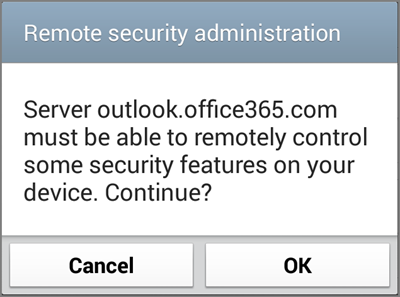 To install Office 365 on your Android device, please follow these steps: 1. Download the Outlook for Android app (it is available from Google Play) if you don t already have it. 2. Once you have the app installed on your device, tap the Navigation control located at the bottom of your device, or tap More Settings Add Account. 3. Tap Office Enter your full address. For example, enter 5. Enter your password and tap Sign In. Note: If you previously used Exchange for your , you may receive a message about security upgrades. Follow the prompts and sign in with your full address and password. 6. To view your calendar, files, or contact within the app, tap More. 7. To learn more about using Outlook for Android, tap the navigation control, or tap Menu Help. Username: first.last@aeagle.net Password: your password Domain Name: EXCH026 Server Name: EAST.EXCH026.serverdata.net Setting up ActiveSync on Motorola Droid RAZR: 1. From the Home Screen select Apps. 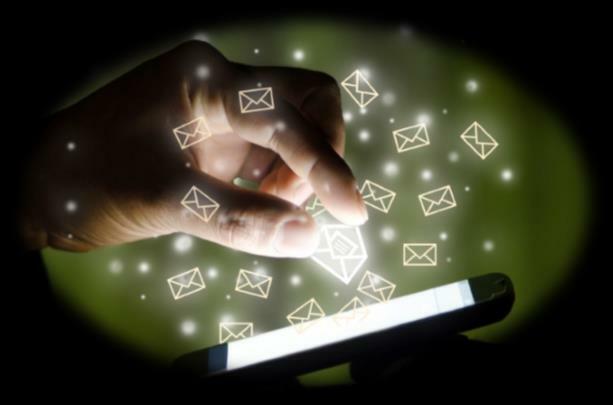 E-mail Encryption. How do I send my e-mail encryption key?